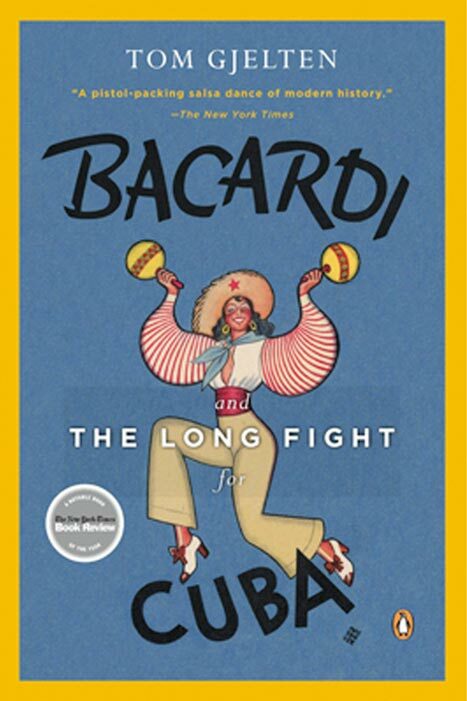 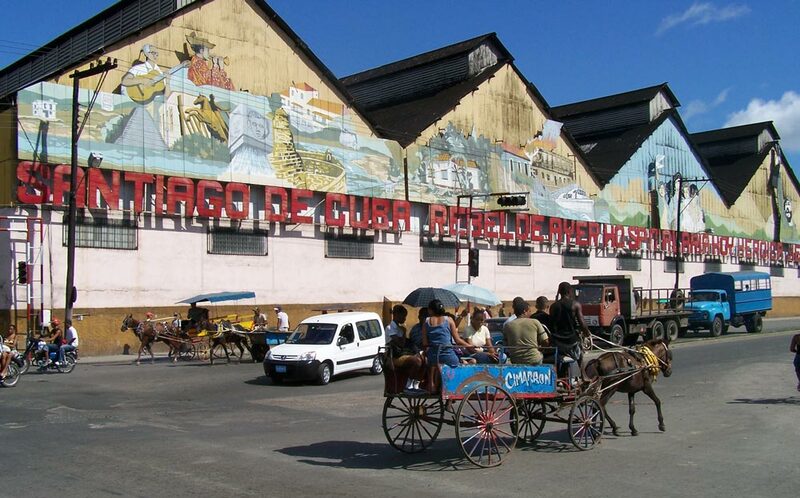 Bacardi and the Long Fight for Cuba is a unique history of Cuba, captured in the life and times of the famous rum dynasty. 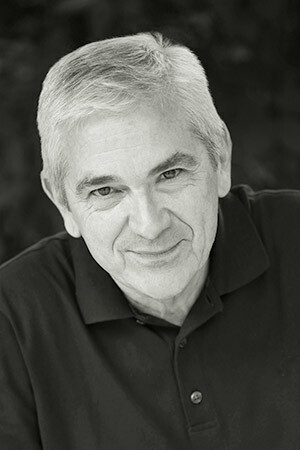 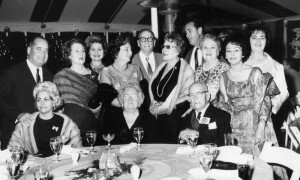 In chronicling the saga of this remarkable family and the company that bears its name, Tom Gjelten describes the intersection of business and power, family and politics, community and exile. 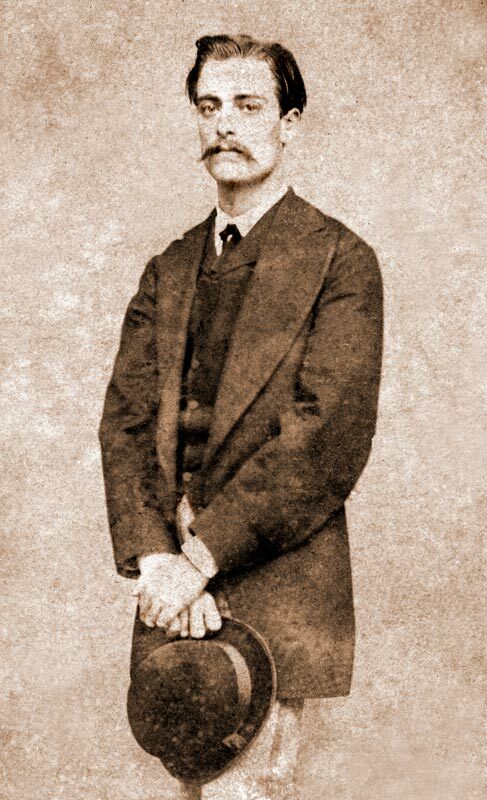 Click on an image to open a slide show. 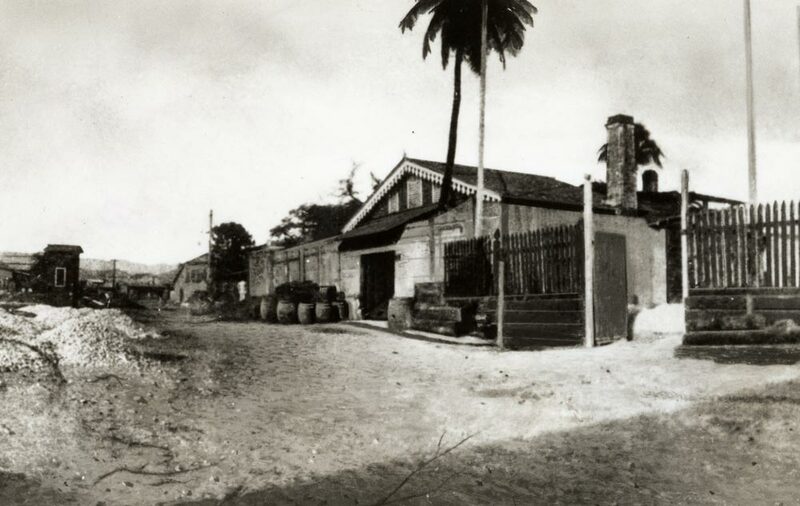 The palm tree in the front yard was planted by fourteen-year-old Facundo Bacardi, Jr., the son of the company founder, shortly after the distillery opened in 1862. 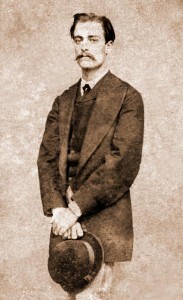 Emilio Bacardi, son of Don Facundo Bacardi (the company founder), at about the age of thirty, a time when he was deeply involved in revolutionary plotting against Spanish colonial rule. 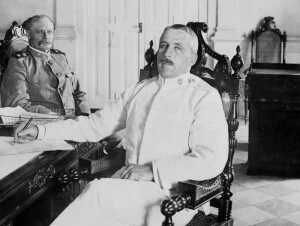 Emilio Bacardi was the first Cuban mayor of Santiago. 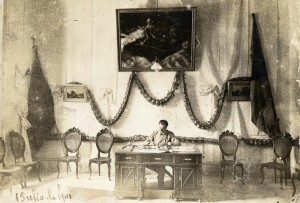 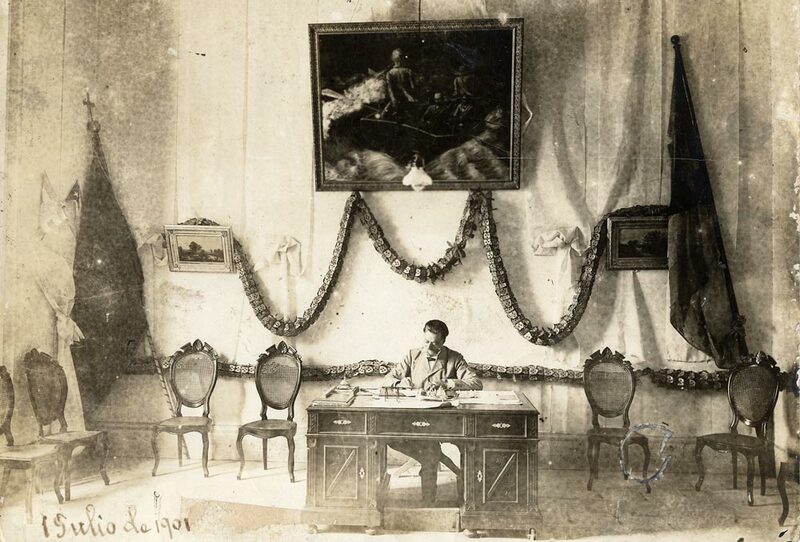 Here he is at work in his city hall office in 1901. 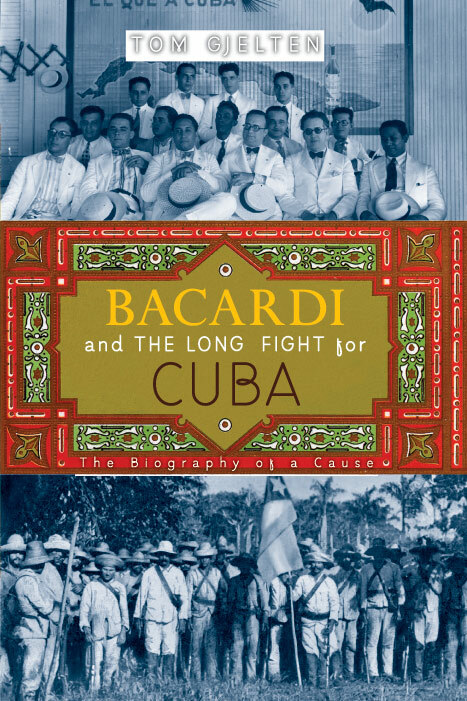 Emilio Bacardi respected Wood’s practical achievements but like other Cuban nationalists he was dismayed by Wood’s efforts to thwart Cuban independence. 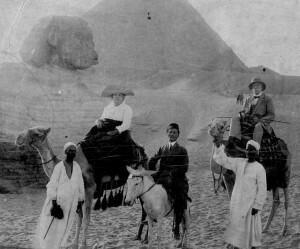 Emilio purchased a mummy and sent it back to display in Santiago at the museum he founded there. 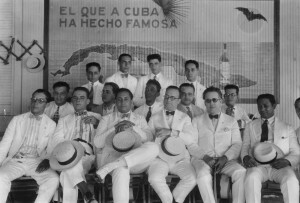 A group of Bacardi sales agents in the 1920s. 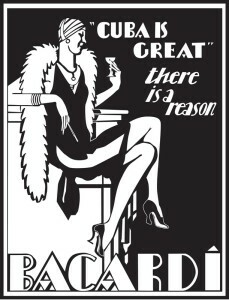 The sign in the background features the slogan, “The One That Has Made Cuba Famous,” alongside the Bacardi bat. Mimín Bacardi, the daughter of Emilio and Elvira, with her bust of Cuba’s national hero, José Martí. 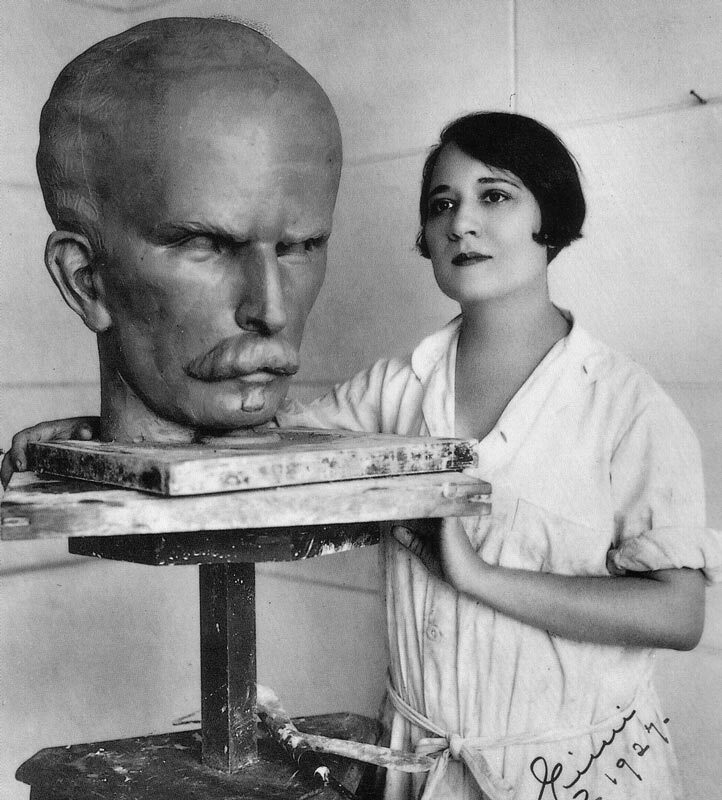 A sculptress and suffragette, Mimín carried on the free-thinking attitudes of her parents. 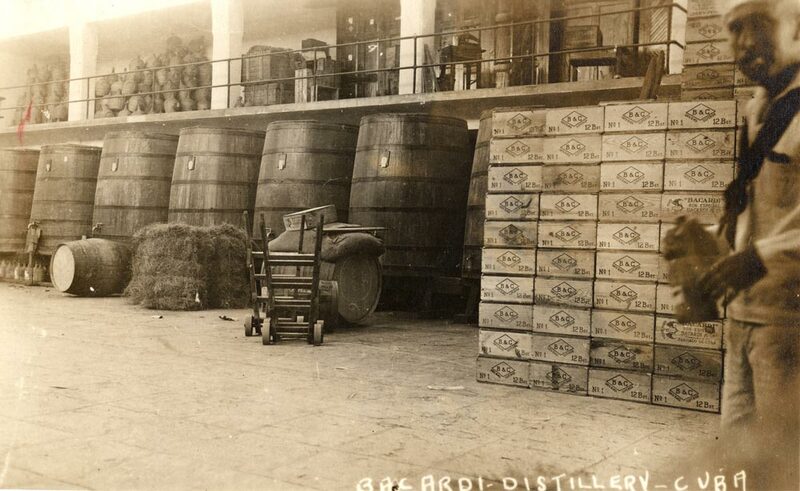 Bacardi rum was bottled and sold in wooden crates, visible at right, or in wicker-covered jugs, shown stacked on the mezzanine. 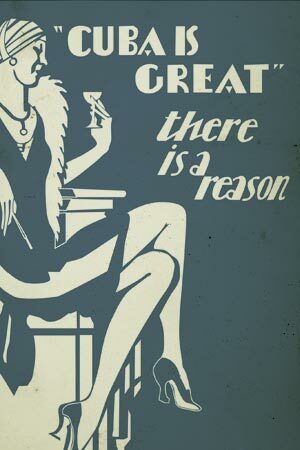 Company advertising in the 1920s and 1930s promoted the Bacardi association with Cuba, a favored vacation destination for U.S. tourists. 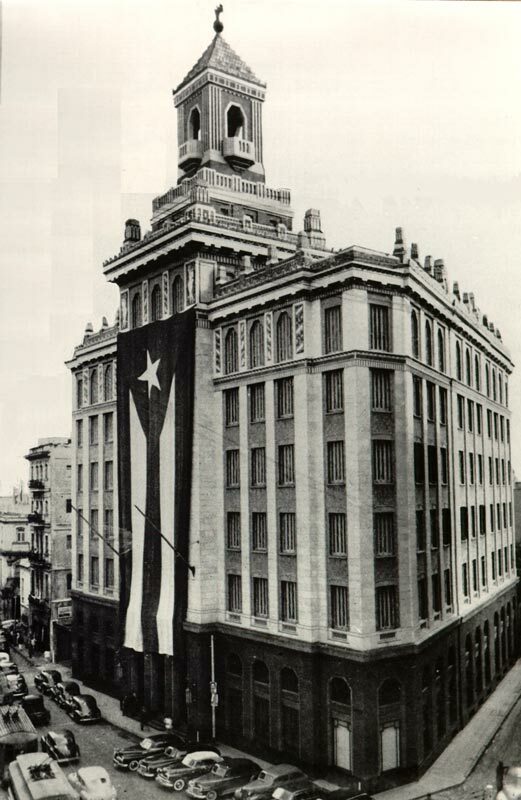 The art-deco Bacardi building in downtown Havana in 1952, the fiftieth anniversary of Cuban independence. Bacardi president José “Pepín” Bosch, speaking to Bacardi sales agents in 1953. 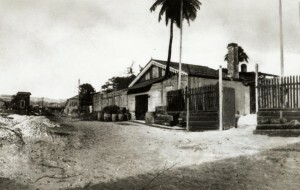 Bosch was married to the granddaughter of the company founder. 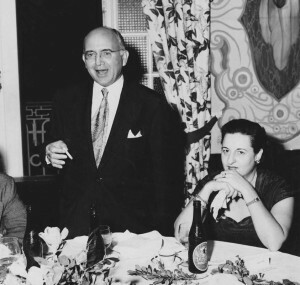 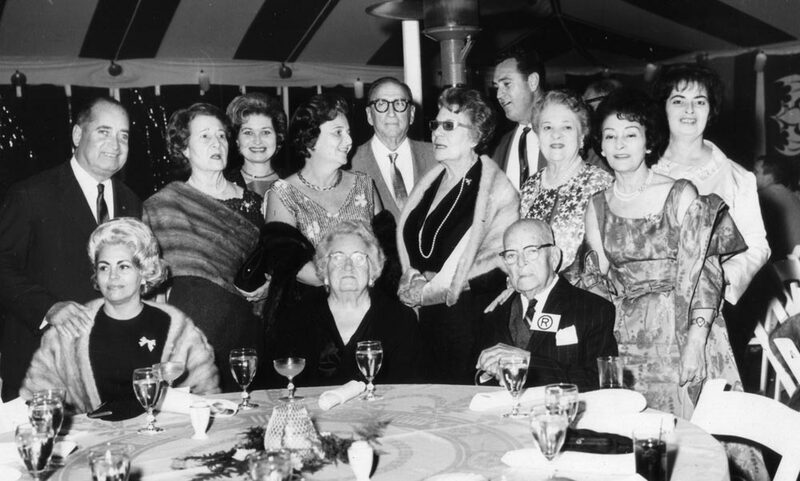 Seated at right is Olga Covani Bacardi, the mother of future Bacardi chairman Manuel Jorge Cutillas. 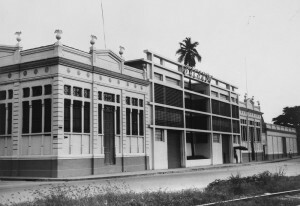 The Bacardi rum factory in Santiago as it appeared in the 1950s. The factory was built on the site of the original distillery, and the coconut palm is the same one planted by Facundo Bacardi, Jr. in 1862. 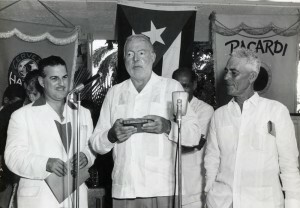 Ernest Hemingway was feted by Bacardi in 1956 in honor of his Nobel prize. Standing on Hemingway’s right is Fernando Campoamor, a noted Havana society columnist and Hemingway drinking pal. 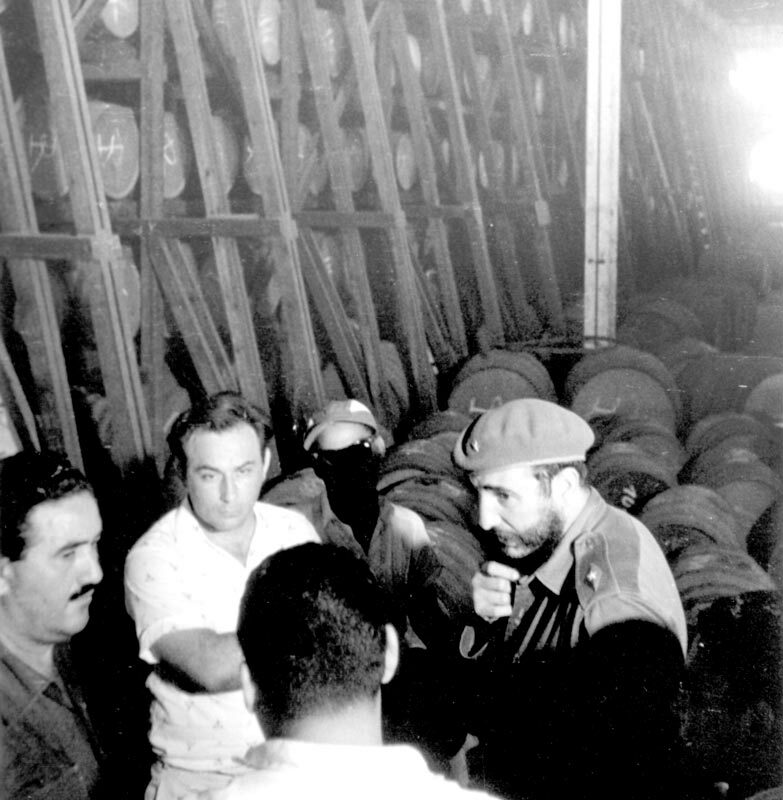 Fidel Castro, accompanied by local Communist Party officials, speaking to workers at the old Bacardi aging house in 1963, three years after Castro’s revolutionary government confiscated all Bacardi assets in Cuba. 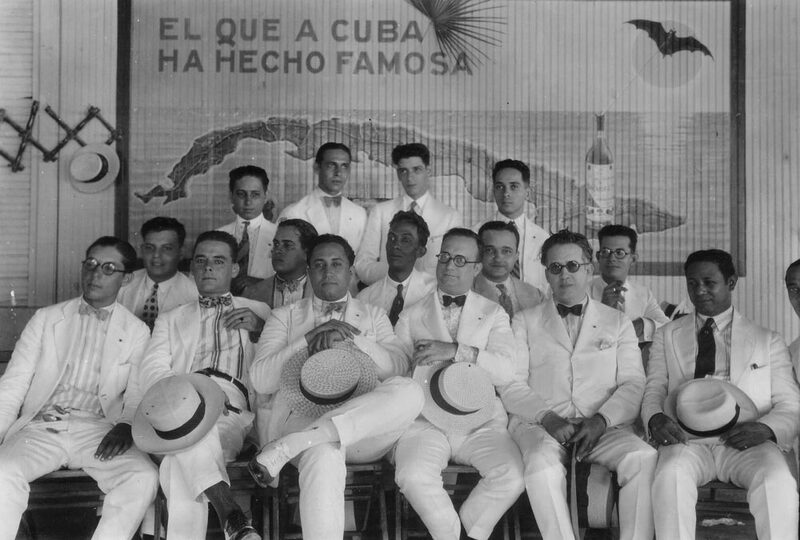 Eighty-nine-year-old “Colonel” Emilito Bacardi, the son of Emilio Bacardi and a veteran of Cuba’s independence war, is seated in front.